Named Best Lawyers' 2014-15 Tallahassee Appellate Practice "Lawyer of the Year," Katherine ("Kathi") Eastmoore Giddings is ranked as one of the "Top 250 Women in Litigation in the United States" by Benchmark Litigation (2012-2014), and one of the "Top 100 Lawyers in Florida" by Super Lawyers Magazine (2011, 2013-2014). A board-certified appellate attorney, Kathi has litigated high-stakes civil and administrative appeals and bar ethics issues in state and federal courts nationwide. Her diverse appellate work ranges from cases involving a sanctions appeal arising out of an oil and gas venture in which claimed damages were $1.15 billion to whether the Florida Department of Revenue's statewide tax on commercial lease-hold improvements was lawful. In conjunction with her appellate practice, she also monitors litigation management issues nationally, advises on ethics issues and the unauthorized practice of law, has filed amicus curiae briefs on behalf of the insurance industry in twelve states, and provides national consulting services to her clients on insurance issues, with special emphasis in the area of bad faith, in-house counsel operations, and related issues involving the tripartite relationship among insurers, insureds, and defense attorneys. Before entering private practice, she had the honor of serving as a staff attorney to Florida Supreme Court Justice Ben F. Overton for seven years. 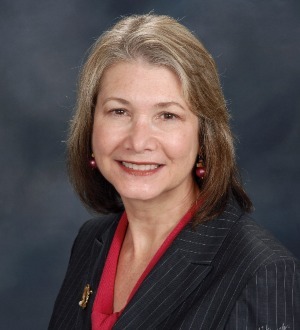 She is Past Chair of the Florida Rules of Judicial Administration Committee, which govern administrative matters in all Florida appellate and trial courts. She is also past Chair of the Appellate Court Rules Committee, served as a steering committee member for the 2003, 2006, and 2009 editions of The Florida Bar's Appellate Practice CLE Manual, and served a four-year term on the First District Court of Appeals Judicial Nominating Commission via appointment by the Governor. Florida Trend's Legal Elite 2014-2015, Inducted into the "Hall of Fame"
Super Lawyers Magazine 2011, 2013-2016, Listed in Florida as one of the "Top 100 Lawyers"
Super Lawyers Magazine 2006-2016, Listed in Florida as one of the "Top 50 Women Lawyers"